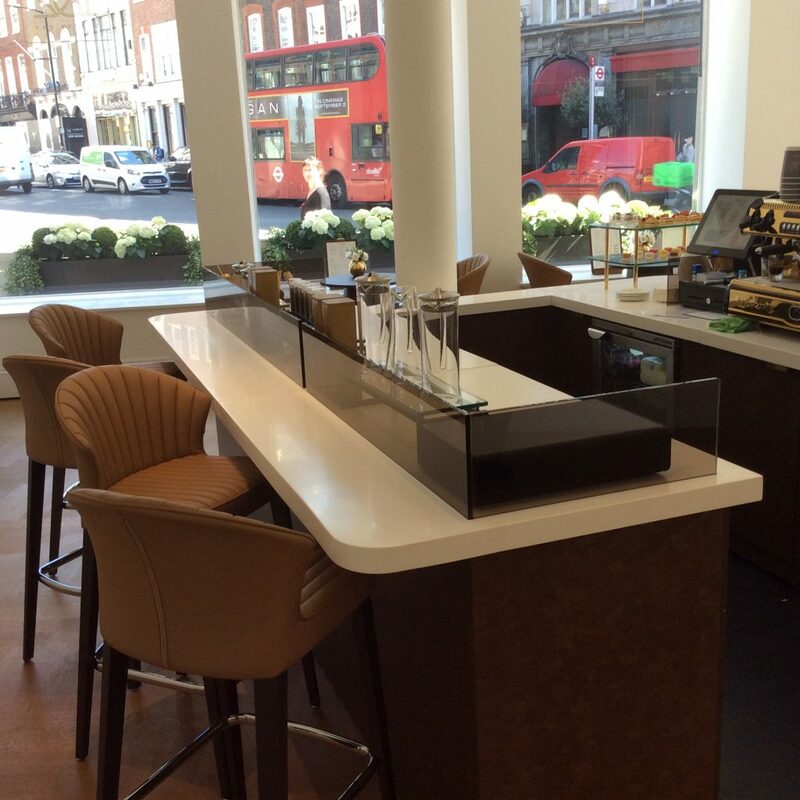 Sotheby’s (New Bond Street) Fine Art Auctioneers and Private Sales, approached Ceba Solutions to find a solution to provide a fully mobile espresso bar to service both Galleries 1 & 2. 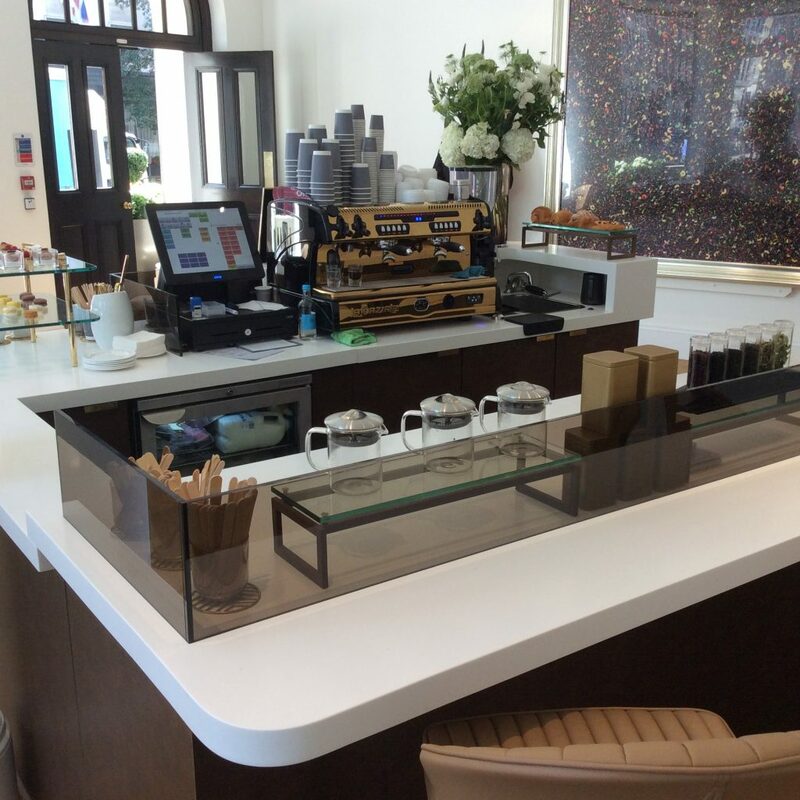 The mobile coffee bar was bespoke designed by our in house designer Nick Silburn. We produced 3D CAD drawings and visuals for client approval before production was passed to Multifit Ltd including the LED lighting systems. The unit had to be fully self-sufficient with only one power supply, the water supply and waste had to be integrated within the design. The main specification from Sotheby’s was that the unit needed to be constructed so it could be broken down quickly, to allow for flexibility within the busy gallery rooms. 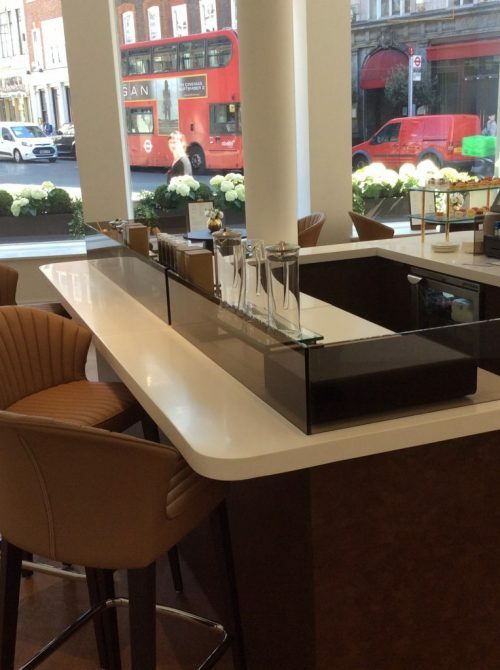 Nick worked to create a bar that consisted of 5 separate units that are completely mobile. Finally, the overall finish of the mobile espresso bar had to be in keeping with the building and surrounding area. 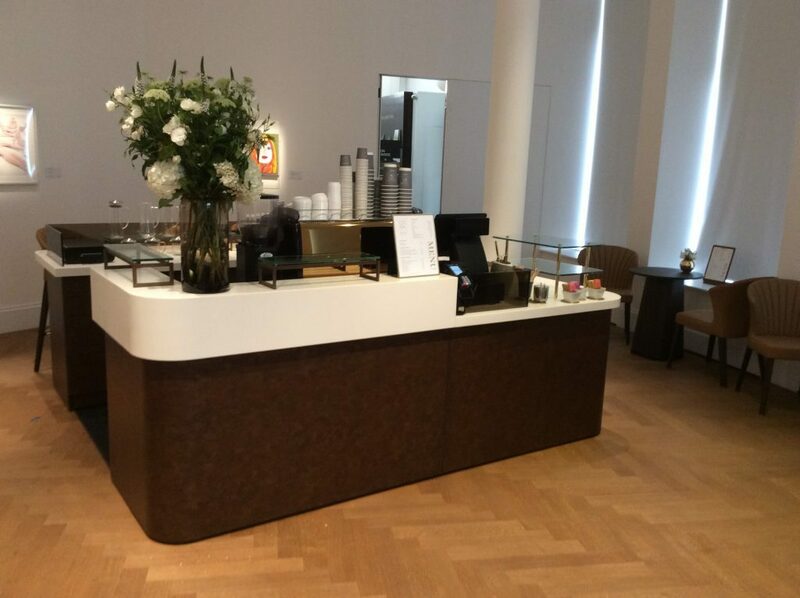 Galleries 1 & 2 are both very popular areas used by the public to view the works at Sotheby’s, the mobile coffee bar is proving to be a big hit and another great project we have been able to complete on time and on budget for our clients. 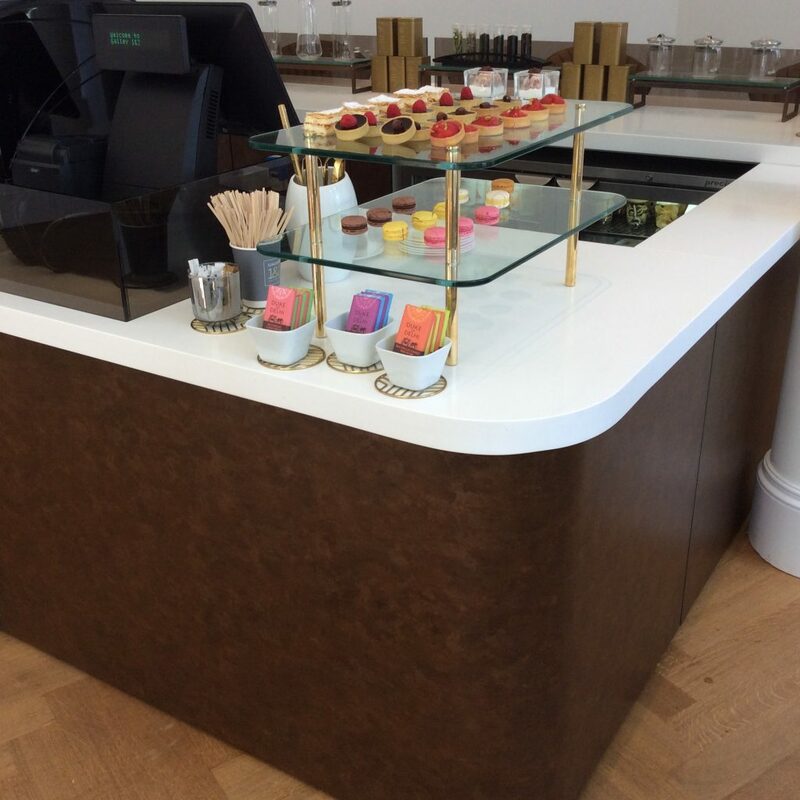 Bar refrigeration was supplied by Precision Refrigeration Ltd.